Mystery Photo of the Week from September Solved! On 9 September 2015, I posted this Mystery Photo of the Week. There were two photographs of a little girl whose name was forgotten. One was her confirmation photo. The other was a photograph with two women. I’m happy to say that the little girl has been identified. The girl in this photograph is Isabella Pacheco aka Isabella DeBraga and Bella Ventura. It was probably taken around 1909-1910. Isabella’s birth parents were Joao Pacheco and Joana Gonsalves Cardozo. When Joao died in 1906 of tuberculosis, Isabella was given away to distant relatives, Jose de Braga and Maria Jacinta da Camara. In 1907, they took Isabella with them to Oakland, California and then soon after to Spreckels, California. Isabella married Manuel Ventura, another native of Kauai who relocated to Spreckels with his parents. They raised their family in San Francisco. There was also circumstantial evidence. 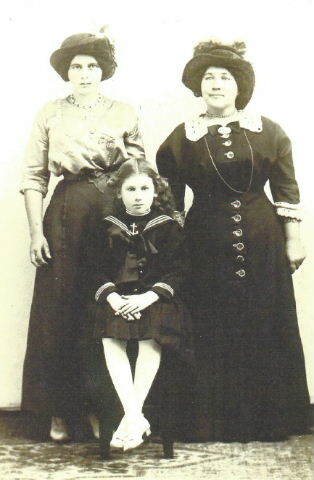 The woman on the right is Isabella’s adoptive mother. The woman on the left is her adoptive cousin (if there is such a thing). Who else would these women be taking a studio portrait with if not Maria’s daughter? That isn’t enough to base an identification on, though. It wasn’t until I posted this in my Pacheco de Braga family Facebook group that the proper ID was confirmed. Within minutes of asking if this was Isabella, her granddaughter confirmed it. She had not seen these photos but has others of her at the same age. I had a feeling this was a photograph of Isabella. The resemblance to her was uncanny. 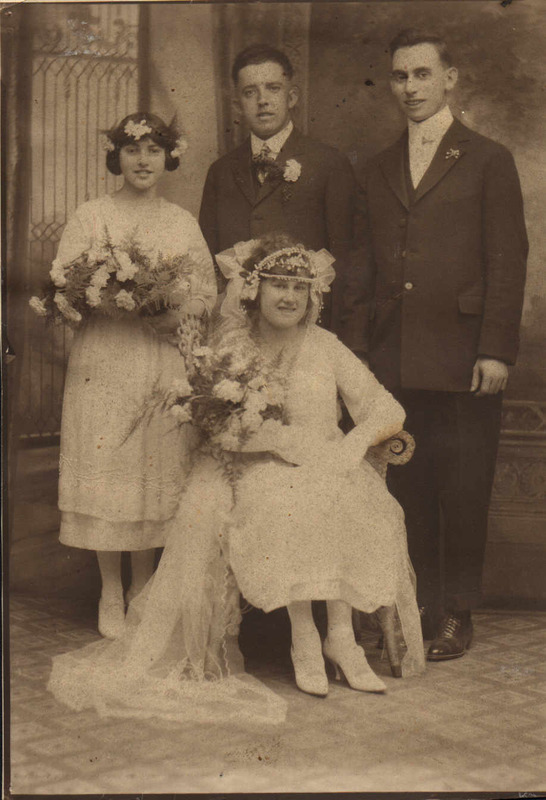 This is Isabella’s wedding photo. I am a firm believer in passing around unknown photographs to everyone connected to the family tree. It doesn’t matter how distantly related, show them! You never know when someone will recognize their grandparent or the cousin who they went to high school with. Never pass up an opportunity to get names for your photographs! This little girl gets her identity back. Another mystery photograph solved!